Toluca Lake, CA (October 2018) — The 130-strong 2018 Elite Dealers were selected based on numerous criteria, including growth initiatives, innovative marketing programs, outstanding customer service, charitable contributions to the community, progressive workplace cultures and adaptability to an ever-changing market. 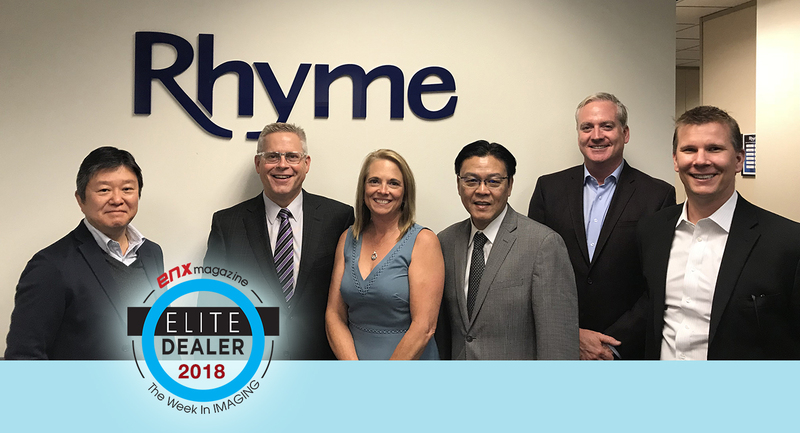 Rhyme has consistently been recognized as an Elite Dealer and is on track to record its 20th year of growth, which it feels is a considerable achievement in a highly competitive industry. Rhyme is one of the largest independent providers of office technology solutions in the country. In business since 1945, Rhyme employees over 90 people and has 10 locations throughout Wisconsin and Illinois. Their corporate office is located in Portage, Wisconsin and has roots that date back to the 1800s. Rhyme streamlines their customer’s workflow by integrating the appropriate technology to meet their needs.